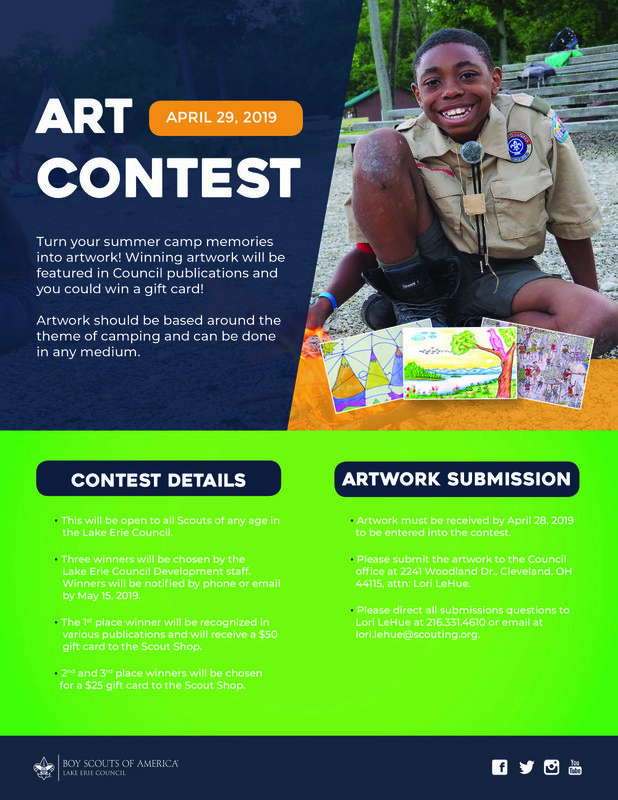 Turn your summer camp memories into artwork to be featured in Lake Erie Council publications! 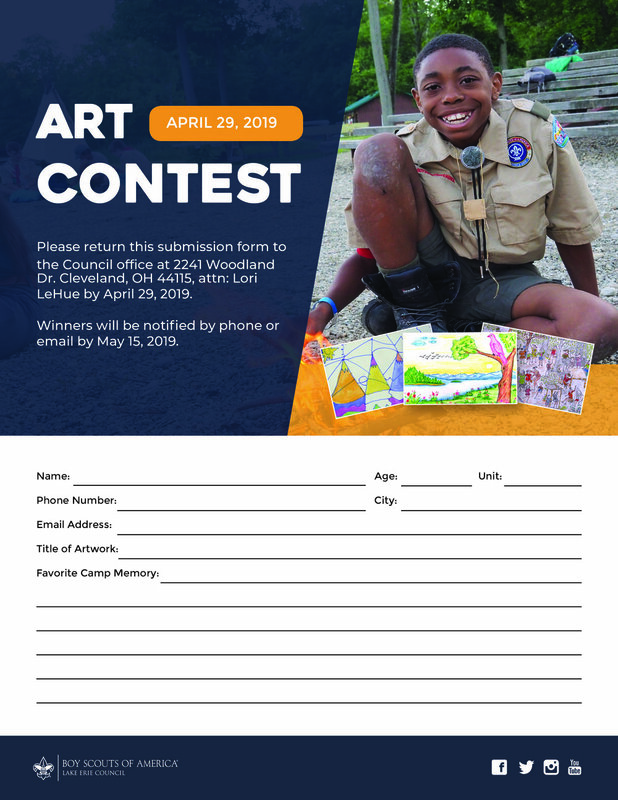 Download the flyer for contest details and mail the submission form work along with your artwork to 2241 Woodland Dr., Cleveland, OH 44115, attn: Lori LeHue by April 29, 2019. Winners will be notified by May 15, 2019. Direct all questions to Lori LeHue at 216-331-4610 or email at lori.lehue@scouting.org.